David Haye (L) with his long time friend, trainer and manager, Adam Booth (R). You might say, one gentleman took the high road and the other, the low road. he and his people prepared an official statement regarding his carefully laid out plan for his route to the top and when and where he would end his boxing career. 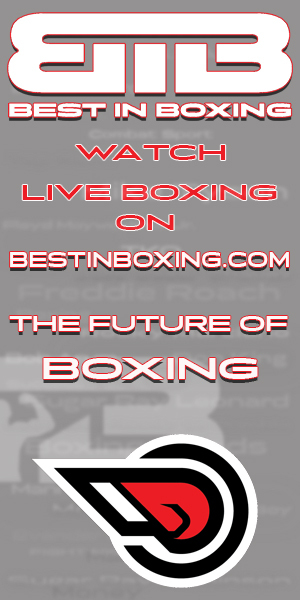 Once upon a time an ambitious 22 year-old by the name of David Deron Haye and his long time friend, trainer and manager Adam Booth, sat down in a central London Kentucky Fried Chicken and laid out this three fold plan which any boxer would be wise to follow. (and equally important) get Haye out of boxing in his prime and in perfect physical and mental health. “The decision to end my career at this point,” announced Haye, “was not a spur of the moment thing. Nor was it something forced upon me. In fact, it has been my intention to retire from the sport of boxing on this particular day ever since I first lace up a pair of gloves as a skinny 10 year-old at the Fitzroy Lodge Amateur Boxing Club in Lambeth. In other words, it was by design that he displayed that cocky attitude. It was all done to bring attention to himself. So, what does he have now? Believe me, more than enough. It’s a shame all boxers can’t follow the same tact and be as slick as Mr. Haye. Born July 5, 1957, in Tulsa, Oklahoma, James Theodore Tillis grew up in a broken family with an alcoholic father and a deeply religious mother. By 1964, he began to dream about becoming a boxer after listening to the then Cassius Clay defeat Sonny Liston on the radio. He was on his way after getting coached by Ed Duncan. Before long he amassed an amazing amateur record of 92-8, which included winning three Oklahoma State Golden Gloves and four Oklahoma State AAU titles. Mike Weaver (R), the defending WBA World Heavyweight champion looks on as his challenger James Tillis (L) acknowledges his fans. 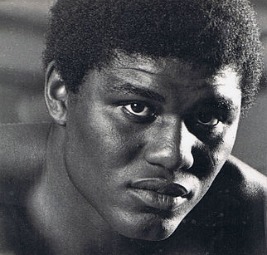 After winning his first 20 pro fights, 16 by knockout, Tillis’ first loss came to Mike Weaver on October 3, 1981, when they fought for the WBA World Heavyweight Title. Tillis was paid $250,000 for his participation. On June 11 of the following year, he came off the canvas to outpoint the hard-hitting Earnie Shavers. 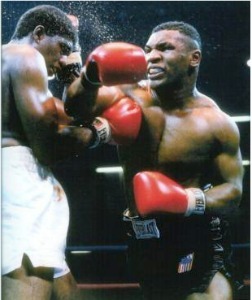 Mike Tyson (R) is shown clobbering James Tillis with his powerful right cross. He also holds the distinction of being the first man to go the distance with Mike Tyson (May 3,1986). At the time, Iron Mike, an awesome puncher, had a 19-0 record with 19 straight knockouts. He appeared unbeatable. In the first 19, 11 of his victims didn’t even get out of the first round. From Tillis’ humble beginnings he went on to face seven heavyweight champs and make millions. People say the majority of Tillis’ earnings went to the family, ex-wives – he married six times – and the shady boxing manager “Willy B” mentioned in his book. While fighting or training for one those 65 bouts, his manager, according to Tillis, was bleeding him dry. This was the period of the written contract and the birth of a product known as “white out.” Unfamiliar with the term, ask Don King. In 1997, Tillis spent two months in a Tulsa County Jail for failure to pay child support. Dubbed the Fightin’ Cowboy by Muhammad Ali, the undisturbed time was a blessing because it afforded him the peace and quiet to finish writing his life story though it be in a dimly lit jail cell. In 2000, Thinkin’ Big: The Story of James Quick Tillis -The Fightin’ Cowboy, the biography of a broken boxer was published. After fighting in the U. S., South Africa, Great Britain, Italy, Brazil, Indonesia and Australia, he finally retired in 2001 with 44 wins, 22 losses and one draw. In 2006, the Okmugee Boxing Club gave Tillis an Award for his volunteer work in their Amateur Program. In 2009, the James “Quick” Tillis Foundation was established. Its goals included helping wayward youth and establishing Tillis as a motivational speaker. After six months, he had to sever ties with the group. On February 12, 2010, Oklahoma’s Governor, Brad Henry, honored James Tillis of Tulsa by signing a declaration making February 12th, James “Quick” Tillis Day in Oklahoma. At a Tulsa Charity Fight Night in April, 2010, 15 years since most people had seen him in public, there he was wearing his cowboy hat, wide grin, and shaking hands in a large crowd. Bert Sugar, Rubin “Hurricane” Carter, Earnie Shavers and Sugar Ray Leonard were in that same crowd. When Leonard spotted Tillis, he exclaimed, “Man! Where you been?” The two men laughed, riffed back and forth, and posed for photos. For this one night, Tillis had found himself back where he belonged, back with the other boxing legends. 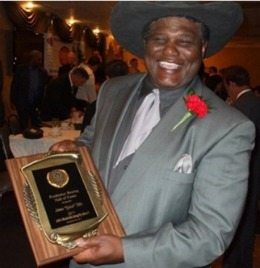 The Rochester Boxing Hall of Fame just honored Tillis on November 5, 2011. Bobby Czyz and Ron Lyle were also honored. The newly weds, Vanessa Williams-Tillis (R) and James Tillis (L) pose for a photo. 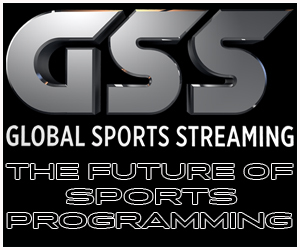 After all is said and done, there’s no guide on how to deal with life after boxing or for that matter life after any major success. Ray Leonard once said. “Boxing is a poor man’s sport.” That is so true. But there are individuals who can rise up above the fray. All they need to do is invest wisely. After Tillis married his seventh wife, Vanessa Williams-Tillis, the couple moved to Ruidoso, New Mexico in May 2010. Present day, that white silk robe, the one with the patched black letters he wore for the Tyson fight, is in a glass case. All of his treasured photographs and newspaper clippings are neatly storied away. 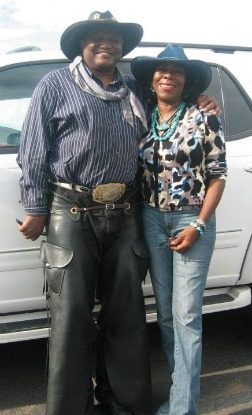 It appears Mrs. Tillis has her saddle on, cinch tight and she’s ready to restore order in someone’s life.